In Ricochet you have a single bullet to take out dozens of bad guys, eliminate your target and save a hostage. To make matters worse the target is deep within a large building, but thankfully your bullet doesn’t obey the normal rules of physics. Each time your bullet collides with something then you’ll be given a chance to alter its direction. If it collides with a solid wall then the bullet will slow down (and if it does this four times in a row then it will stop) but if it collides with an enemy or a breakable object such as a door then it’ll speed up. You need to use these ricochets to guide the bullet to your target without allowing the bullet to stop. 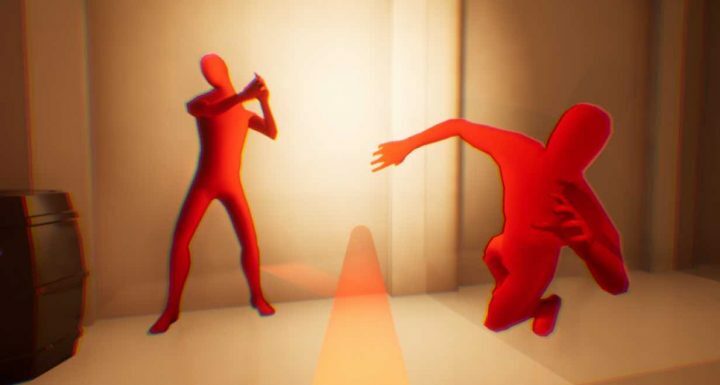 Once you get the hang of it then Ricochet is a pretty easy game that can be completed in under five minutes, but it’s great fun guiding your bullet through the building, searching for all the SUPERHOT styled baddies and smashing them to pieces. A fun little game where one bullet really is all you need.